Dogs undoubtedly have a myriad of traits that have distinguished them as man's best friend. Not only an ally, canines possess characteristics and incredible abilities that factor in at literally superhuman-level with senses of sight and smell that go far beyond where a soldier's can venture. A formidable instinct is coupled with these assets for an incredible ability to subdue or vanquish many a foe. The summation of these qualities is all the reason why modern armies have successfully trained and given canines many military roles over the years. 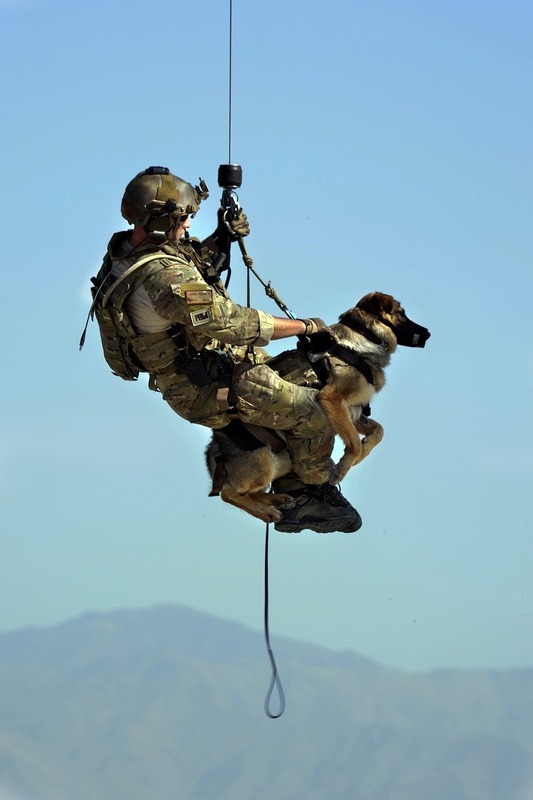 Over time, dogs have been employed for many roles in the military. Trained to warn when an enemy approaches, these dogs would bark or growl to alert their handler in such an event, often sensing the threat far in advance of their handlers. This comes in handy on vigilant, dark nights or times of camp as with the Devil Dogs of World War II. The sentry dog can remain on alert while allowing a man to nap while in a foxhole. A hot commodity for a soldier on the front line. 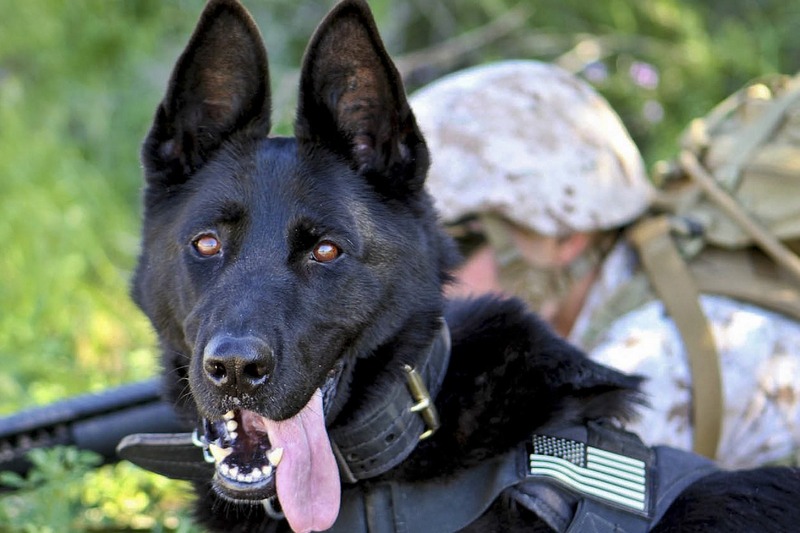 Adding to the skill of sentry dogs, scout and patrol dogs would work silently while seeking the threat of snipers or other ambush, signaling with the stiffening of its stance or the prick of an ear. Working with two handlers, messenger dogs exemplified the traits of loyalty and self-reliance as they discretely traveled from one to the other. Explosives, mines, enemy tunnels... Detection dogs would spot out trip wires and booby traps as well as detect and explore cavernous enemy tunnels. Like search and rescue dogs, casualty dogs searched for and reported casualties and the injured in sparse areas, often saving lives. 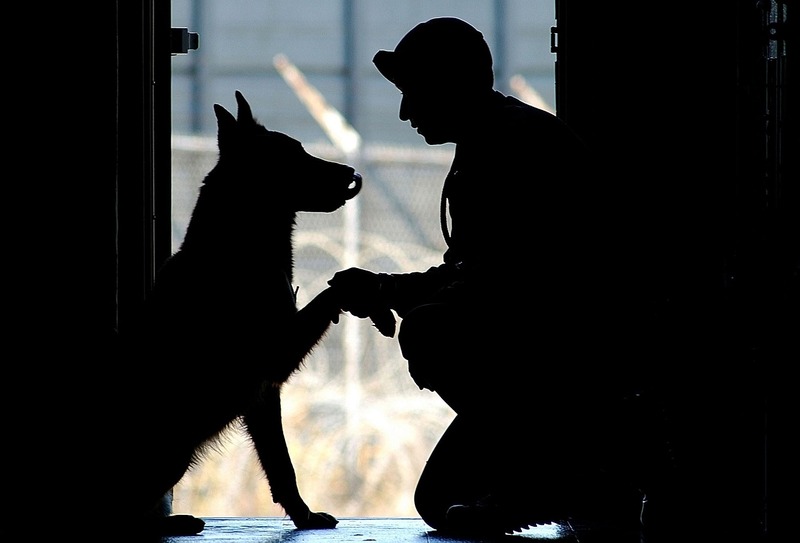 Military canines have worked hard and have saved countless lives of soldiers. For this and many other reasons, war dogs are honored and respected as true members of the military. War Dog Memorial from Paul Pytlowany on Vimeo. Priority One Canine has extensive experience in canine training. 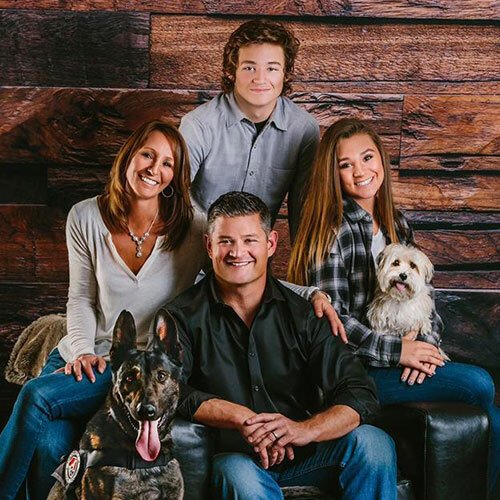 We're dedicated to providing the world's best personal and family friendly canine bodyguards that will love the and protect the kids and that the kids will love. Ready to take the next step toward owning one of the best dogs in the world? Contact Priority One Canine and learn more about the process of purchasing a protection dog.